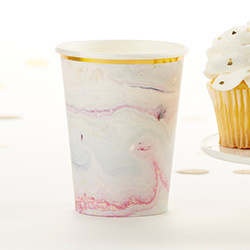 No matter what your wedding decor is, these Marbleized Paper Cups are sure to complement it and impress your guests. 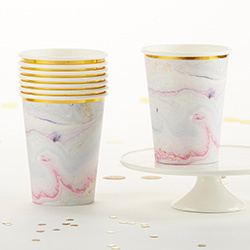 Kate Aspen's marble-printed decorative paper cups look elegant on guest tables or on the bar, and they match our Marbleized Paper Plates and favor boxes perfectly. 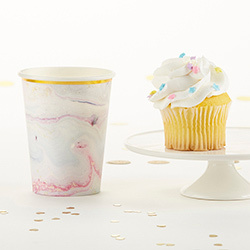 Coordinates with Kate Aspen's Marbleized Paper Plates (Set of 8). 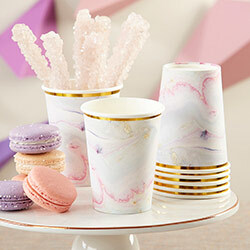 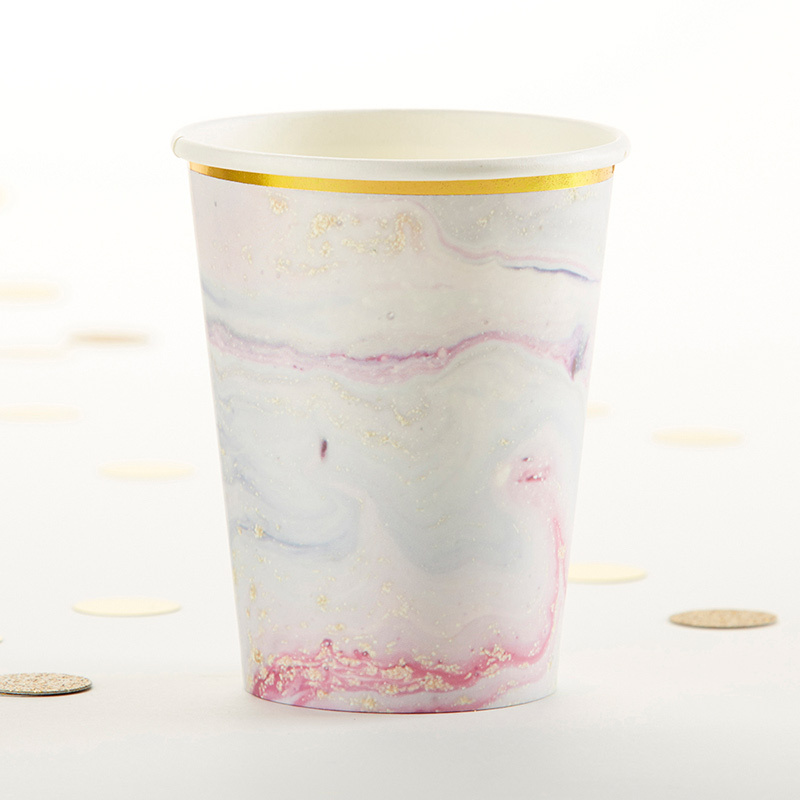 Paper cups with faux marble print that is purple, pink, blue and gold; gold foil border at top of cup. 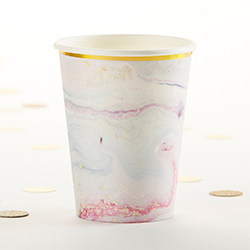 Paper cup measures: 3" w x 3.75" h x 3" d; Packaged product measures 3" w x 5.1" h x 3" d.